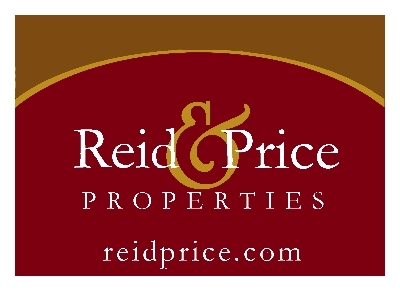 Description: Nancy Reid and Richard Price have gathered a wealth of information to help you with all of your real estate needs - from all the latest property listings to great information for both home buyers and sellers. The two of us have a total of over 58 combined years of selling real estate in the Sacramento area. "WE'RE THE EXPERTS, YOU'RE THE BOSS” Everybody has individual needs and preferences. Nancy and Richard realize that listening and understanding are the best ways to ensure that those needs will be met. They offer a personalized service tailored to their clients with a rich, people oriented approach Born in East Sacramento, Marge Reid, Nancys mother, was raised on the premise that honesty and integrity are the most important components of business. Marge took that philosophy to work with her everyday, with an added twist of her own. As a mother with six children and 13 grandchildren, she understands the meaning of family. And, even more importantly, what a home means to a family - whether they are buying or selling. Nancy, a second generation native to Sacramento, understands what makes this area a great place to live. Her experience in teaching, business administration and management provide the needed tools and skills to ensure a smooth transaction and to see the big picture. Richard's successful background as a real estate broker, building contractor and as an operator of a sports fishing expedition company, enables him to oversee the details of the transaction. Your home is one of the largest investments you will make in your lifetime. So, naturally, you want someone who has been down the road may times and has seen all the possible problems. Using over fifty eight years of combined experience, Richard and Nancy will help you make informed decisions regarding the purchase of your home. Together they see solutions where others see problems and measure their Real Estate success by their ongoing referral business, resulting in lifelong relationships since 1989 COMMUNITY SERVICE: Nancy & Richard Board of Trustees Sacramento Country Day School, Board of Director Fairytale Town, Advisory Board Summer Bridge Sacramento, Volunteer Make a Wish Foundation, Volunteer Sutter Hospice Program, Volunteer Jonas Salk Middle School, Volunteer Thomas Edison Elemntary School, Board of Directors Point West Rotary Club of Sacramento (3 years), Member Point West Rotary of Sacramento (15 years), Board of Directors Carmichael Colony Neighborhood Association (14 years) & Participant Sacramento Co. Adopt-A-Street Program. For further information please visit our website or give us a call!